For many individuals in the United States, their pet dogs are the cutest and most loveable companions. Just do a quick search on Instagram and other social media platforms and you will see what we are referring to. Pet-owner videos and images all over the Internet paint generally harmonious animal-human interactions. But that is not always the case. While it’s true that dogs are sweet to their owners most of the time, there have been reports of them attacking other humans. The Center for Disease Control or CDC has data that say that about 4.7 million dog bites are recorded in the United States each year. Their report continues by saying that about 800,000 of such cases result in medical care. In figures, this amounts to around $700 million in paid homeowners liability claims according to DogBites.org. But are all dogs like this? The obvious answer is no. There are hundreds of dog breeds. Add in mixed-breed dogs and that number jumps to thousands. Out of those, only a small percentage have been reported to have attacked humans that resulted in injuries from dog bites and even death. We introduce two of the most dangerous dog breeds below. Because of their size and rather defined musculature, pitbulls – or more commonly known only as pits – have always been regarded as ferocious beast by many. Unfortunately, statistics seem to confirm this. Forbes cites a study that covers thirteen years of data (2005 to 2017), revealing that 284 people have been killed by pitbulls in that period. This is already 66% of all recorded fatalities; and this holds true even if the breed makes up only about 6.5% of the total dog population of the United States. What makes pits really dangerous when they attack is the strength of their jaws. They are said to have among the strongest bites among all dog breeds that are usually domesticated. Also big and muscular, Rottweilers come a close second to pitbulls when it comes to ferociousness, at least as far as looks are concerned. Again, it is very unfortunate, especially for dog lovers, that the numbers on record seem to confirm this. In June 2017, one-year old MJ was mauled to death by the family Rottweiler. He become the 110th fatality associated with the breed since 1978. Because of this, there are many who now believe that rottweilers and pitbulls should be declared unsafe. Why do pet dogs attack? There are several possible reasons for dog attacks. First, the animal might be threatened or scared. It is in their instincts to fight when they see or sense anything that might endanger them. An aggressive or simply an unknown human can be a good trigger for such an instinctual response. Just like humans become irritable when not feeling well, dogs are also likely to attack when they are not feeling well. 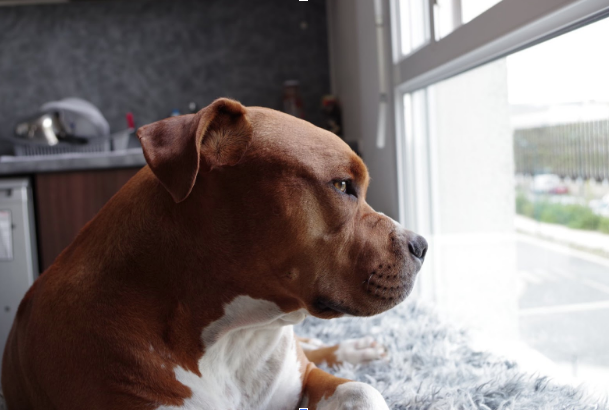 Because of this, it is important for pet owners to always make sure that their dogs are in their most neutral state especially when they bring them out or when they put them in the presence of other dogs or other humans. We say neutral state previously because too much excitement can also lead to bites. Dogs are playful, and one of their means of expressing their playfulness is play biting. But excitement can make them lose control over the strength of their bites, leading to injuries.